In Ohio, powers of attorney can be used for a variety of purposes. One of the more common forms these powers take is the financial power of attorney, or FPOA. These documents allow a person to hand over the right to make financial decisions to someone else. In any power of attorney, the person handing over the power to decide is generally called the principal. The person to whom the powers are granted is called either the attorney in fact, or the agent. While Ohio law recognizes the term "attorney in fact," the person acting in this capacity does not have to be a lawyer. To hand over financial power of attorney in Ohio, the principal must be at least 18 years old and of sound mind. The power of attorney (POA) grant can be conveyed only in writing, not orally. If the POA is used to convey a deed, mortgage or title to real property, it must be acknowledged by an Ohio court or court clerk. Generally, POA terminate as soon as the principal is no longer able to make decisions. If a FPOA is intended to last after the principal becomes incapacitated, the POA must include language making it durable, so it lasts even after the principal's incapacity. Financial powers of attorney are often used in conjunction with powers of attorney for health care. In these situations, the POA can be made both durable and springing, meaning it takes effect when the principal becomes sick or incapable. For example, if the principal is hospitalized and unable to make decisions, a springing FPOA can come into effect, allowing the agent to pay bills or look after finances after the principal falls ill. These POA must also be durable. FPOA can be granted as either limited FPOA, or as part of a general POA. If limited, the FPOA typically only applies to financial transactions. 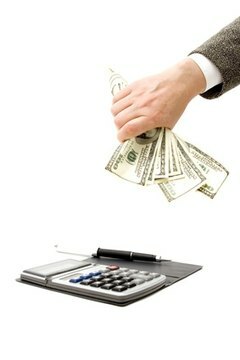 General POS convey broad power to the agent, including the right to make financial decisions. While general POA may not be referred to as financial powers of attorney, these documents convey the same powers. Ohio Legal Services: What is a Financial Power of Attorney? Thorne, Roger. "Financial Power of Attorney in Ohio." , https://legalbeagle.com/6398071-financial-power-attorney-ohio.html. Accessed 26 April 2019.